When Joshua Kleve helped start the Minnesota High School Cycling League in 2012, he had no idea who was going to show up for the first race. After all, nationwide, the number of children riding bicycles had declined by more than 20 percent between 2000 and 2010. That first season, he recalled, there were about 150 student athletes, representing 16 teams. Today, "we've grown to 1,300 student athletes, 60 teams, 550 coaches that actually cover over 100 schools," he said. Even students from Wisconsin, Iowa and the Dakotas participate. 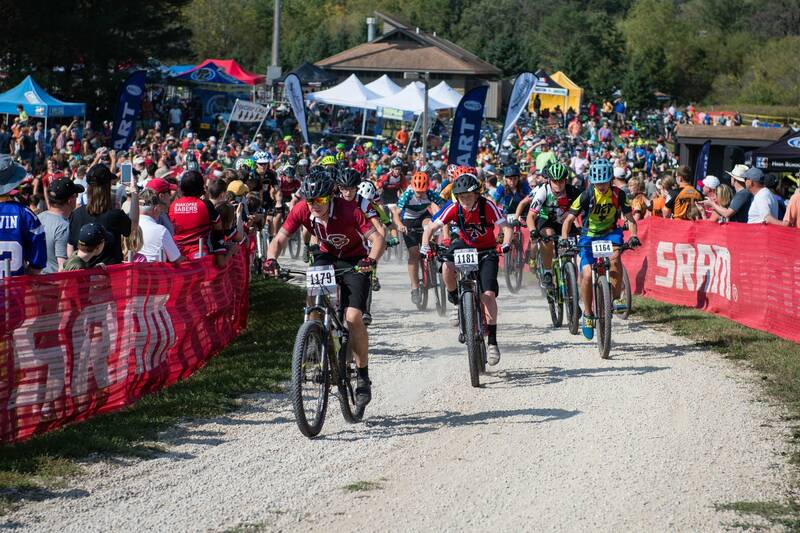 So why is a sport, where 7 out of every 10 participants hadn't even mountain biked before joining a team, growing at a 40 percent annual clip in Minnesota? Likely because "there's no bench on the team," said Brian Hayden, coach of the two-time state champion Duluth Composite Team. "Everybody gets to ride. It doesn't matter if they're a brand new rider or experienced riders, we have the full gamut on our team," he said. "We have riders that are just coming out to learn how to ride their bikes, to some of the best riders in the state." The program is open to seventh- through 12th-graders. Race courses are about four miles long. Varsity racers complete four laps, typically taking about an hour and a half to finish. There are six races around the state during the regular season. Both individuals and teams collect points based on where they finish. It all leads up to the state championship in two weeks in Mankato. But "we're more than just a racing organization," insists Kleve. "We're looking for more ways to just get kids out, get kids on bikes, and get kids involved in this lifelong sport." Many students and parents also prefer mountain biking as an alternative to the increasing competitiveness of what they call the "stick and ball sports," like hockey and soccer. "I quit soccer the summer after sixth grade," said Jake Torch, a sophomore at Duluth East. "It got a little bit too competitive for me. I wasn't a huge fan of the practices, but then I went here, and it was just riding, that was the practices, which I thought was pretty great." But Torch and his teammates do more than just ride. Earlier this week Brennen Larson substituted work gloves for cycling gloves to help maintain the winding, dipping single-track trails at Spirit Mountain by covering muddy ruts with gravel. "It's not the most fun," he admitted. "But we do have to volunteer, and we are using the courses. So we should be the ones who have to do some work." Torch has also helped inspire his family to get into the sport. More than half of students who take exit surveys say one of their parents has either gotten back into cycling, or taken up the sport for the first time. "It's been fantastic to see my son's skills progress," said Erik Torch. "I was always in front of him until last year, then last year he kind of took off, and there was no catching up to him." One challenge for Duluth and other teams has been getting more girls involved. Teams are co-ed, but girls make up on average only about 20 percent of teams. Johnette Ostlund, a freshman at Carlton High School, joined the Duluth Composite Team at the suggestion of her science teacher. Before joining this year she only rode a bike from her house to school. Now she said she loves riding the trails. "There's a lot of mud. And it's kind of scary but it makes it exciting," she said. She has taken a couple hard falls, including a spill off a rock into a ditch that bruised her tailbone. 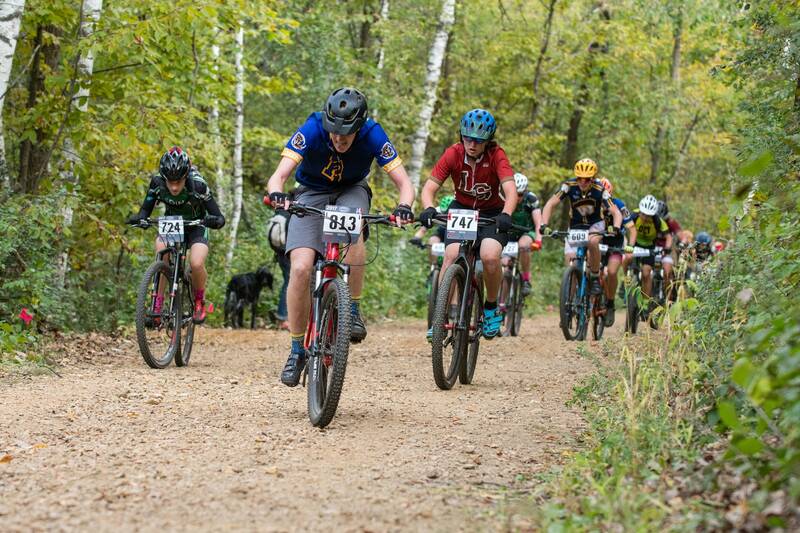 "As one of our coaches put it, it's a real-life video game," said Calvin Jones, team director of the Stillwater Mountain bike team, which has grown to 90 students in four years, the largest team in the state. "You're moving at speed, and you're making decisions all the time," he explained. "What rock to avoid, what root to avoid — it's coming up quick, the blood pressure is up, you're working hard, you're breathing hard." 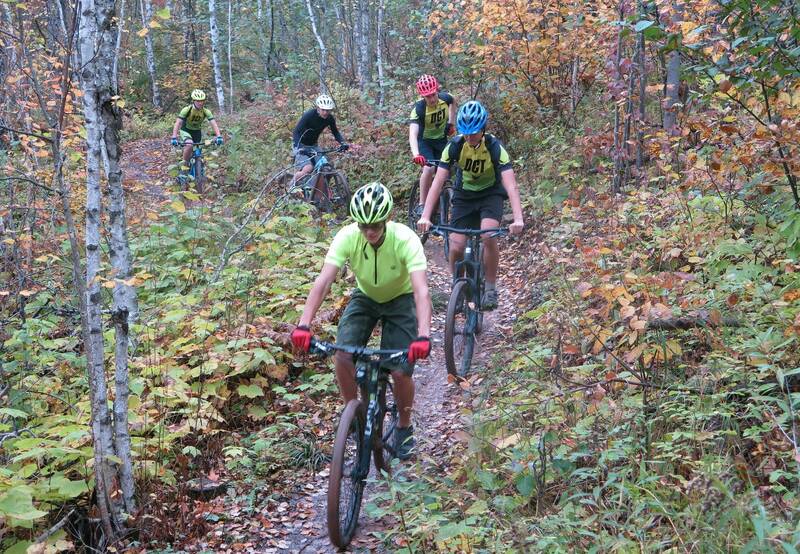 The Stillwater team has also helped build three miles of public mountain bike trails. 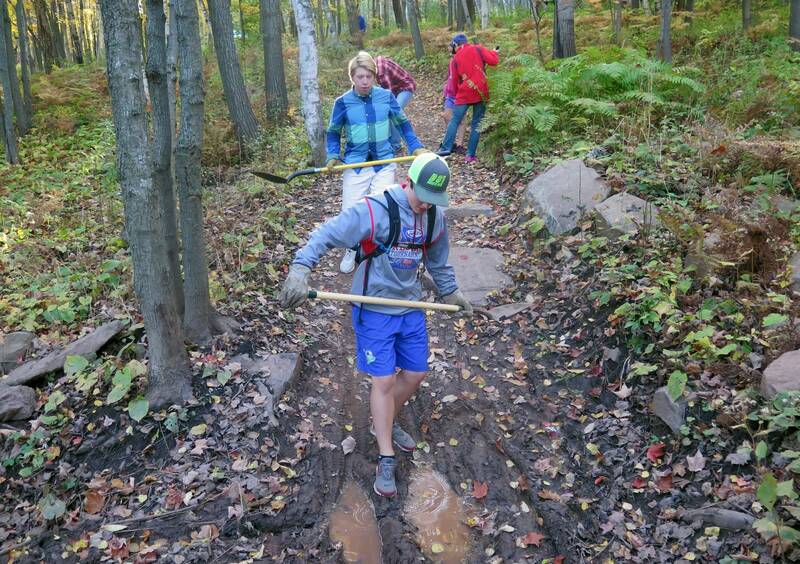 Teams in Lakeville and Austin have also built trails. That's important, said league director Kleve, because almost all student athletes say they plan to keep riding long after they graduate from high school. "I plan on doing it all my life," said Duluth East's Jake Torch. "There are plenty of sports out there you can't really keep on doing, but this is definitely one of them that you can."